Anyone who has experienced a redundancy or a change in employment circumstances that was not of their choice will agree that it can be a stressful time. Often people get moving with a burst of job search activities. If they are the right activities there is a strong likelihood of success however, even the most pro-active job seeker may experience a dip in momentum at some stage and the job search may seem to be in a bit of a lull. Even though this is quite normal, if the lull continues for more than a couple of weeks, it is a sign that it’s time to reassess the job search methods to date before becoming discouraged and see where there may be areas for improvement. Often people will update their resume, register with a number of recruitment agencies, and make a list of companies to target and start networking to gain referrals. Things may go along well, perhaps even a few interviews may be secured and then … things seem to stall. If this happens a number of times it will seem that nothing is working. Perhaps people stop returning calls, 2nd interviews are not forthcoming and then the momentum is lost. It’s easy to slip into catastrophic thinking at this stage if the months start to slip by. Sometimes the people you speak with initially create the mistaken impression that finding a new position would only take a few weeks, or that the process is very simple. Perhaps you are interpreting the feedback you are receiving (calls that are not returned, lack of response from recruiters, positions that suddenly are placed ‘on hold’ or filled by internal applicants) as a measure of your marketability, or lack of it, and you start to make negative emotional judgments on yourself that are not correct. With that sort of thinking, even the most successful professional may question the very factors that made them a success in their previous career. What should you do about it? Let’s go through it step by step, all the while remembering that if you give up, you will not succeed. So, never, ever give up! 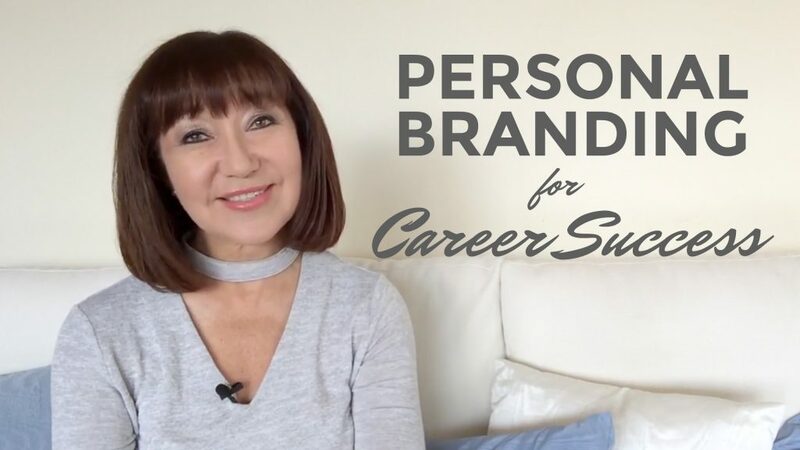 To build your personal brand so that you position yourself as the ‘go-to’ authority in your field check out this Personal Branding for Career Success online course. It’ll change the way you, and others, view you as a professional! First of all, know that statistically a typical job search for a professional in middle management can take up to 3-4 months. More senior positions may take considerably longer. When finding work is not as easy as it seemed after your initial enthusiastic start, don’t assume the worst – get thefacts. Base your actions on facts and evaluate what worked and what didn’t. Give yourself min-breaks in your weekly routine to exercise, relax and enjoy the fresh air. Clear your head – learn how to meditate – it does help to reduce stress and gives you clarity so you can move forward with a positive attitude again. Stress can make you withdraw fromfriends, associates and family. Most people really do want to help however you need to let them know HOW they can help you. Talk to a friend or mentor, join a support group, or engage the support of a career coach. Maintain regular work habits and full work weeks. Your job search is a FULL TIME JOB! Implement task planning, keep up-to-date records and record results and follow up activities. Networking statistically has proven to be the most effective way to find a job. Ensure you budget about 70-80% of your time meeting people in your relevant network and getting feedback on your strategy. Always try to gain referrals in order to obtain more advice and guidance. Make sure that you keep your resume updated with your relevant accomplishments, identify your transferrable skills and identify your personal and career values. Develop a marketing plan with realistic timeframes and realistic goals and objectives. If it doesn’t work, make adjustments; discuss them with a trusted friend who understands your job market. Consider what else you could do if your original goals don’t materialize. Should you consider short term or interim assignments where you can expand your experience without making a permanent commitment? This is an excellent way to demonstrate what you have to offer and expand upon your professional network. With a little luck and determination, a temporary assignment may turn into something more long-term. Not everyone you meet with be a positive, helpful influence. Give negativity a wide berth. Give yourself the chance to surround yourself with those whobelieve in you and are willing to share their experience and expertise. Positive attitudes are contagious. Winners focus on possibilities and positive outcomes. Talk to people who have experienced an extended job search. You will learn a lot about resilience from them. They have hit low points, assessed the situation, asked for support and made conscious decisions to adapt and move on. It may be difficult to believe it but things really do get better if you can take charge and keep at it. Remember that a winner never quits. Balance your time so that you are spending the right amount of time on the critical activities of each phase of your campaign. · Following up with everyone you are in contact with. Send thank you notes/emails. · Always maintain your network – even when you don’t need them! Be brave enough to acknowledge if your job search campaign has stalled and be creative to get it moving again. Remember that you do not have to do this alone. Gain the support of your friends and family, close ex-colleagues and all of those you respect. In order to experience positive results you have to take positive action. Maintain records of your activity – set your own KPI’s! If you still need more help, enlist the support of a career coach you feel comfortable with. Visualize what you want in your mind. See it, feel it, taste it, and believe in it. Make your mental blueprint and then begin build. First, think about what you want out of life. The beginning always takes place in your imagination. Then organize your thoughts into definitive plans. Next, it’s time to transform your thoughts into reality by taking some positive action. Visualize, and then actualize your success. Very sound advice – thank you!